Music Lesson was originally a 36" X 30" oil painting. It is only available here and as a print at the various sizes shown. (Select "Wall Preview" below for a room type, size and wall color to better view the art). Music Lesson was a playful look at the ancient times, a theme much loved in the Victorian era. 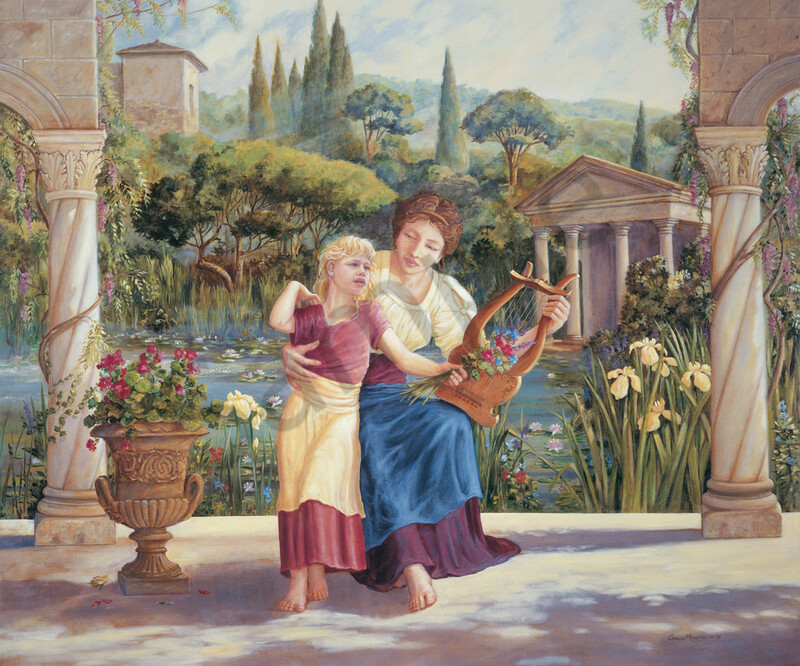 I imagined this scene, the simple love of a mother and child, in ancient times, living in a state of mind that moved by ancient rhythms, music of the lyre, lovely gardens, and elegant simplicity. I used a friends child as a model, but I made up the woman. The child has since become a woman! (Select "Wall Preview" below for a room type, size and wall color to better view the art).